9 am – Tumblr. I knew the company back before it was acquired by Yahoo!, but I have not been back since. I cannot wait to grok the vibe of the place again. This is perhaps the most compelling part of NewCo Festivals for me – the vibe of the company you get simply by being inside the place. Tumblr has not yet uploaded its session description (tick tick, folks! ), so I don’t know who is presenting, but it doesn’t matter – I want to get smart about this company once again. Runners up: Simulmedia and Dstillery. Both are run by great colleagues of mine – so I already know a lot about their businesses. But both are worth a look – as they are disrupting media models in television and advertising, respectively. 10:30 am – Foursquare. Founder and CEO Dennis Crowley will be presenting Foursquare much-anticipated reboot, and I’m looking forward to hearing about the strategy from the founder’s mouth. Crowley has ridden the hype cycle up, down and now back up again, and I plan to learn as much as I can from that experience. Runners up: Evoke Neuroscience and General Assembly. Evoke is all about wearables and health data, a field I want to learn – but I’ll have to wait. And GA is re-thinking education in the tech space, a burgeoning market that I’m keeping an eye on. 12 pm – Chartbeat. I keep hearing great things about this “attention metrics” company, but know precious little about it. What a great opportunity to learn more and connect to its leaders – as with most NewCo sessions, the presentor is also the CEO. Runners up: Basno, a bitcoin blockchain company, and Glimpse, whose founder is doing a session on the ups and downs of running a startup. 1.30 pm – Retoy. This is a flyer, but who doesn’t want to see a new kind of toy company? The CEO of Retoy will present on overcoming the “jar jar effect” of groupthink inside companies of all sizes. Runners up: RebelMouse and Zeel. RebelMouse is one of my investments and has a great founding team. Zeel is bring massages on demand everywhere – including the NY NewCo session! 3 pm – MRY Group. I’ve always marveled at the work of agencies in the media world, but not spent much time with the creative side of that industry. MRY sounds like a new kind of agency that is rethinking how to work with cutting edge brands. Runners up: The New School and Startup Institute. Both are educational in nature, but very unique. I’ve always wanted to get to know the New School – I may change my sked, it was really a toss up between MRY and The New School. And Startup Institute sounds like a very New York place to hang. 4.30 pm – Lerer Hippeau Ventures. One of the most connected and successful New York venture firms. I just could not pas sup a chance to see how they do what they do. Runners up: Yahoo! and OrderGroove. Yahoo! is always interesting, and I’d love to learn how the New York office feels compared to the Valley. And OrderGroove seems to be onto something really important when it comes to the conversation economy – connecting brands to truly loyal customers. 10.30 am – Casper. “Taking back sleep on bed at a time.” A new kind of company disrupting the totally bullsh*t mattress industry? Yes please! Runners up: Kickstarter and DonorsChose. One has redefined how projects get funded, the other is one of the most powerful and agile philanthropic orgs around. So many great choices! 12 pm – Pave. A better way to borrow money for a generation that grew up with the Internet. Fascinating. Runners Up: Parse.ly and Atavist. Both are editorial companies, the former focused on editorial analytics, the latter (and I am an investor) on story telling platforms and quality narrative product. 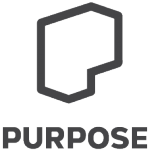 1.30 pm – Purpose. How do “movements” come together? I hope to learn that and more at Pave’s session, which includes case studies on movement-building around gun safety, the Syrian humanitarian crisis, marriage equality, climate, and more. Runners up: MPOWERD and Aviary. My kids use both these companies’ products, one to solar power his phone, the other to edit her photos on her mobile device. 3 pm – Sprinklr. Companies like Sprinklr help brands manage their content marketing streams. As someone with a bit of history in the field, I’m looking forward to finally meeting the team behind Sprinklr. Runners Up: SeatGeek and Animoto. SeakGeek helps fans figure out if they are getting scalped for tickets, and Animoto helps anyone make great videos (I could use the help!). 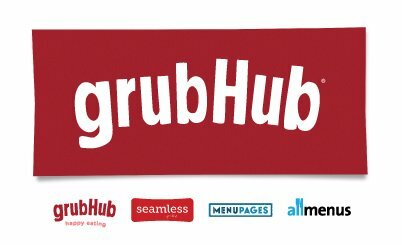 4.30 pm – GrubHub. Did anyone think food delivery would be a massive business after Kozmo fell down? Well, it is, and I want to see how GrubHub did it. Runners up: Kenshoo and Capital One Labs. Kenshoo is a very smart marketing automation company, and I’d be quite interested in learning how an old school credit card player is innovating these days…. Once again, 12 companies in two days. And consider this sked subject to change, there are so many great choices, I may well move it around a bit. Then again, as with last year, sessions will fill up quickly, so if you haven’t already, go register and fill out your sked now! NewCo New York promises to be an incredible experience.